Join Rony for her fourth consecutive retreat in Costa Rica at the magical Anamaya Resort. This 7 day retreat takes place in the jungles of Montezuma overlooking the ocean with waterfalls in the backyard of the property. If you are looking for the ultimate vacation to unplug, unwind, and meet like-minded souls, then this is the place for you! Morning Vinyasa Flow and night time Yin/Restorative yoga offered twice a day, delicious organic farm to table food daily and optional surf lessons! Welcome to a day dedicated to you. Before the Thanksgiving travel and the commencement of winter holidays, join me and my soul sister Erin Ward for a one day joy fest disguised as a yoga retreat. For those who do not have the time or resources to get away for a longer retreat, but ache to be immersed in yoga, community, and overall nourishment, you will leave the day feeling replenished and rejuvenated. The day begins early morning with meditation and a gratitude practice and ends with a communal Thanksgiving Dinner by renown chef, Casey Corn. Ticket price $225 Early Bird before November 10th. This retreat at Kamandalu Resort in Ubud will be a once in a lifetime opportunity, where everything is taken care of from the moment you arrive at Denpasar Airport (DPS) to the moment you get back on the plane to go home. The 5-night 6-day yoga retreat includes breakfast and dinner, Vinyasa Morning Flow to build strength and endurance, Yin night time yoga to work on flexibility and relaxation, and optional excursions to explore and tour Ubud. This retreat is suitable for all levels who are looking for relaxation without sacrificing the luxury and comfort of your own home. Excursions can be added upon arrival to Kamandalu and booked through the resort. They include a day trip to the beautiful beaches of Bali, trip to the water temple and monkey forrest, and a bike tour along Rice terraces! Ubud Chalet has either a king size bed or two twin sized beds, an indoor sunken bath and a Balinese outdoor shower. Selected villas feature views of the terraced rice paddies or the tranquil lagoon. Garden Villa features a shaded Bale Bengong (day bed) in a private landscaped garden. Each spacious villa has either a four post canopy bed or two twin sized beds, an indoor sunken bath and an outdoor shower. Pool Villa overlooks Ubud's terraced hillside. Each villa has either a four post canopy bed or two twin sized beds, an indoor sunken bath, an outdoor shower, and a shaded Bale Bengong (day bed). The Pool Villa has its own private swimming pool in a beautifully landscaped garden. Each villa is designed uniquely and individually. 2 Bedroom Pool Villa captures premium views of Ubud's breathtaking scenery. Each villa features two bedrooms and two bathrooms. This villa has its own private infinisty pool and an outdoor Bale Bengong (daybed). Each villa has a stunning layout individually designed. Presidential Suite is a stunning spacious three-bedroom pool villa perfect for a family or group of friends. It is surrounded by a large private Infinity pool with breathtaking 180 degrees of the lush green Ubud valley. The second level of the Suite has an outdoor Jacuzzi that is perfect to relax in. 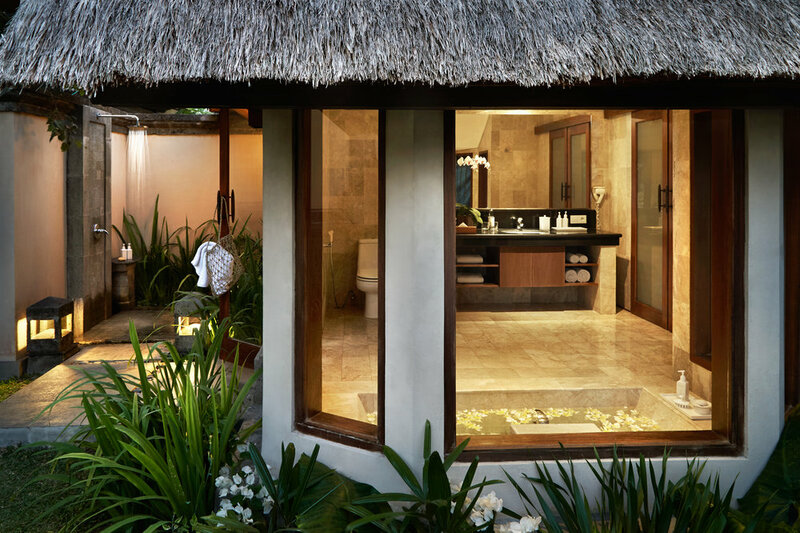 Each bedroom has a separate bathroom featuring a sunken bathtub and rainforest shower, while the main bedroom has an additional outdoor shower. A large-daybed in the private courtyard garden is a perfect way to zen out on afternoons. A large indoor dining room allows a group of friends to dine together with panoramic views of the pool, garden and Ubud valley. Escape to the Catskills, NY for four days and three nights of self-care and self-discovery. Rony Ghoraishy and Erin Ward combine their passion and deep knowledge of yoga, meditation, personal development, and spiritual fitness to create the ultimate retreat experience in an elegant yet natural setting. Just 2.5 hours outside of New York City, a respite to bring you back home to you! Morning movement and meditation practice is followed by nourishing family style brunch. Afternoons are spent in excursions throughout the area, hiking in nature, workshops, and free time spent lounging by the lake or detoxing in the sauna. Each day closes with an evening practice and a family style dinner. During the retreat, we’ll turn towards the four elements as well as yogic philosophy to guide us into deep exploration of ourselves. By embarking on this multi-day journey, you’ll be entering into a safe and supportive container to move, feel, play, breathe, and grow. You'll leave feeling rejuvenated both mentally and physically and return to life with a new sense of clarity. 4 Days, 3 Nights Accommodation at Silent G Farms in Catskills, New York. 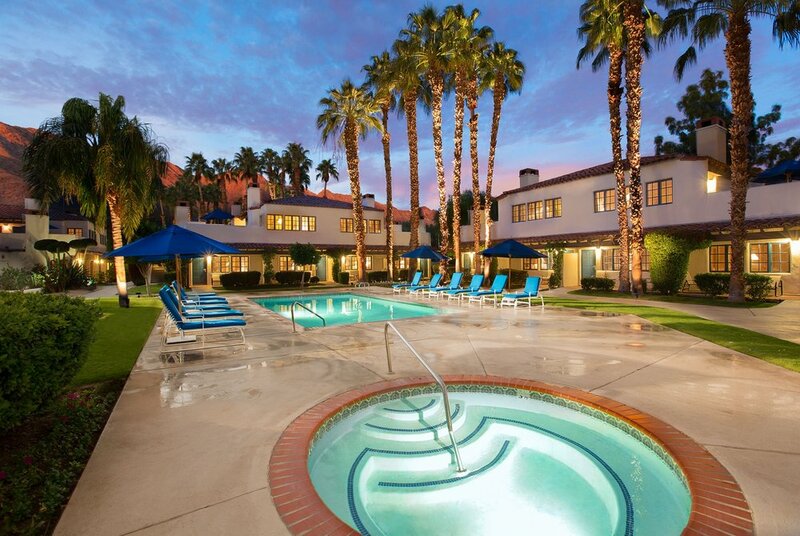 Come restore and relax and your body and soul with a weekend getaway at the Waldorf Astoria La Quinta Spa & Club. Experience the replenishing power of yoga and meditation twice a day, nourish your body with three nutritious meals, soak in the sun at one of the 41 pools, and pamper yourself to a spa treatment. You'll leave with your mind, body and spirit fully rejuvenated. Included: 2 night stay, 3 healthy meals and 2 yoga/meditation classes per day. Zen out Saturday retreat + Workshop featuring coach Karen Báez. Gift yourself or a friend a day in nature with hiking, yoga + meditation and take away some tools to slay your stress dragons. Learn to prioritize your time to maximize your joy and happiness. You will leave the retreat feeling blissed out! 11:15-1:15 pm Slay the stress dragons workshop with guest speaker executive Coach Karen Báez. Life is always going to be unpredictable, chaotic and uncertain, but it is how you relate to it all that shifts your experience of your particular life. Karen works with business leaders to guide them to shift their feelings of guilt, stress and anxiety to focus on creating a life, business and relationships with more time, energy, peace and calm. A native of London, an entrepreneur and business leader who has done this herself, Karen will share insights and tools that makes the difference in the lives of many who have learned to remain stable and grounded through life's trials and tribulations. People navigate huge shifts in events with more ease and calm when working with Karen. If you are a leader of your own life or a leader who recognizes yourself in any of these statements, then this workshop and retreat is a perfect fit for you! Karen will offer a new way to view yourself and your context of time and provide you with feelings of joy and calm in order to lead a more peaceful life.